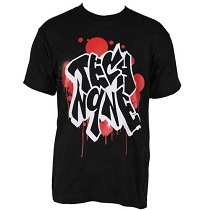 Put a little street in your wardrobe with this Tech N9ne Black Subway Tag T-Shirt. 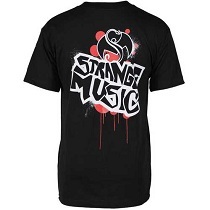 Perfect for b-boys and b-girls, this brand new addition to the Strange Music webstore has a throwback Tech N9ne graffiti logo on the front and a Strange Music tag across the back. Keep hip hop style alive and bomb on the industry like Tech N9ne. Click here to purchase your very own!